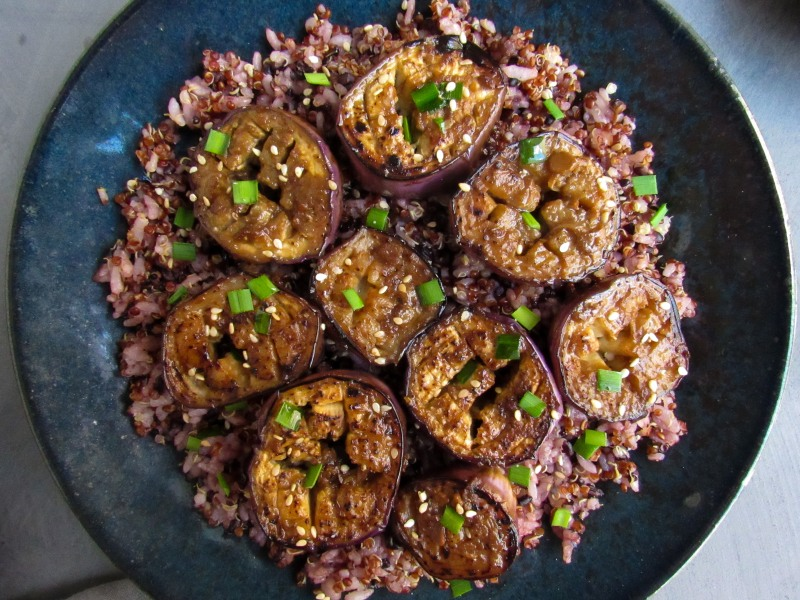 Get your umami on and savor each bite of this eggplant dish. You’ll awaken all your senses from the soft texture of the eggplant combined with a punch of flavor from the sesame-soybean sauce. Did we mention it’s also happens to be very good for you? Eggplant is a good source of fiber, and is filled with potassium, vitamins and minerals. Look for long, thin Japanese eggplant—it has a thinner skin and more delicate flavor than globe eggplant. This Korean-inspired dish makes a delicious vegan, gluten-free main course when served over rice, or a tasty vegetable side dish when served with braised short ribs. You can find garlic chives in most Asian markets. If you have a hard time finding them, substitute with scallions. Similarly, find Korean soybean paste in the Asian section of many supermarkets, or in Asian grocery stores. Add a little of the paste to salad dressing for a funky, salty flavor. Per Serving: 440 calories; 16g fat; 74.2g carbohydrates; 8g protein; 0mg cholesterol; 10mg sodium. My favorite part of this dish was the soy bean sauce. 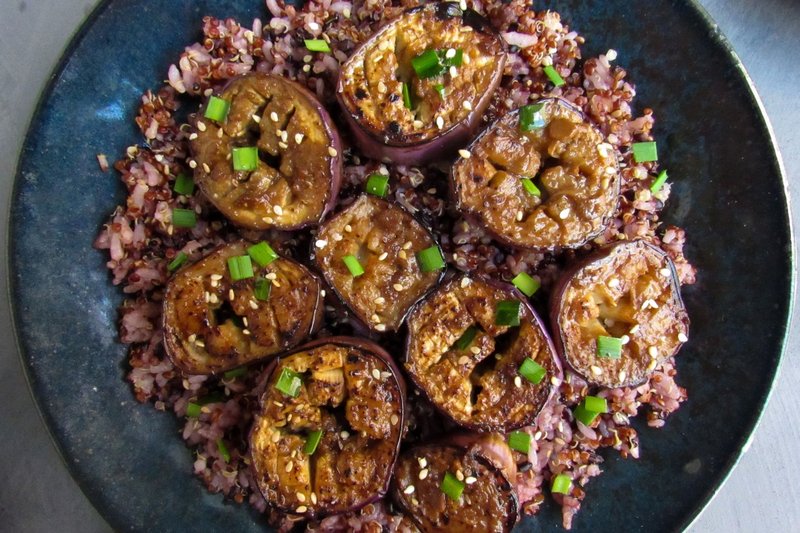 If you like eggplant, definitely try this dish, it does not disappoint! So full of flavor! I really loved the texture of this dish, and it was so full of flavor. I had a little trouble finding Korean soy bean paste, but it was worth it because the sauce turned out incredible.